Active from the late 18th through the early 20th century, the Peale family was America’s first artistic dynasty. This overview of the art of the Peales documents and interprets more than 160 works in a variety of media from the renowned collection of the Philadelphia Museum of Art. With discussions of both internationally famous masterworks such as Charles Willson Peale’s Staircase Group and lesser-known but equally engaging pictures including Rubens Peale’s Magpie Eating Cake, Carol Eaton Soltis traces the family’s history and reveals how the Peales’ energy, innovation, and entrepreneurship paved the way for generations of American artists. 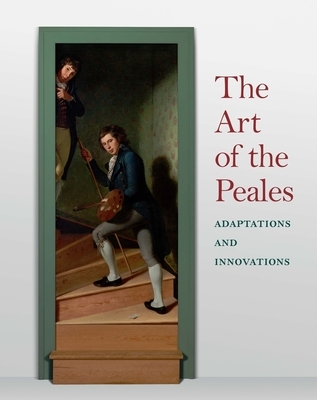 Rigorously researched and generously illustrated, The Art of the Peales is an essential and wide-ranging study that considers the family’s substantial output and contextualizes their historical legacy. Examining the different ways that the Peales instructed, influenced, supported, and competed with one another, this book is full of new revelations on this extraordinary family that remained a transformative force in America’s cultural life for more than a century. Carol Eaton Soltis is project associate curator at the Philadelphia Museum of Art.